This week: Werner Herzog’s latest documentary, James Bond gets back to basics, and Netflix premieres a new ghost story in time for Halloween. To most people, the ground beneath their feet may seem stable, unchanging; yet deep beneath, magma churns and rages, periodically bursting forth in cataclysms around the world. These eruptions have long fascinated mankind, with many cultures revering volcanoes as outbursts from gods. This destructive power naturally fascinates filmmaker Werner Herzog, whose films have often examined man’s uneasy relationship with nature. In his new documentary, Into the Inferno, Herzog travels the globe with volcanologist Clive Oppenheimer, documenting active volcanoes and the cultures that have sprung up around them. 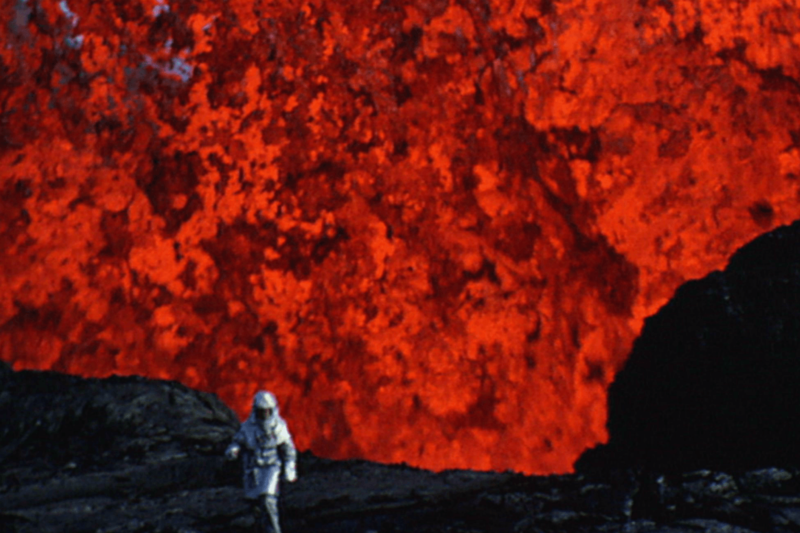 Herzog has always had an eye for beauty (the fiercer, the better) and that is evident in Inferno. As he and Oppenheimer stand before the blistering maw of the Earth, it becomes apparent just how small these men are before its fury. Throughout much of the film, Herzog offers his characteristically distant-yet-poetic narration. He stands in contrast to his travel buddy, as Oppenheimer can barely contain his glee at each new location. Although volcanoes are the main attraction, Herzog and Oppenheimer drift from time to time into the human realm, including a memorable trip to Mount Paektu on the border of China and North Korea, which the North Koreans venerate as the birthplace of Kim Jong-il. Many police procedurals, specifically those that involve a serial killer, like to tease out the identity of the villain, letting the viewer do the detective work alongside the hero. 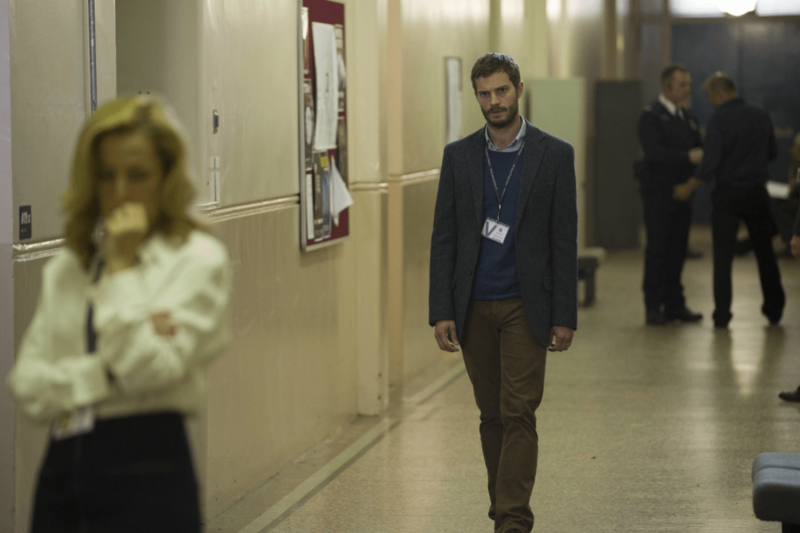 The Fall, taking a cue from sexually aggressive protagonist Stella Gibson (Gillian Anderson), does not play coy, revealing the killer’s identity in the opening minutes. Paul Spector (50 Shades of Grey’s Jamie Dornan), is by all appearances a normal man; a therapist by trade, returning home to a loving family every night. His nightly outings consist of stalking and eventually killing young, upscale women in Belfast. The crimes draw the attention of authorities in London, who dispatch DSI Gibson to oversee the investigation. Although the audience knows Paul is the killer, Gibson does not, and the tension comes from watching her piece together clues while Paul conducts his grisly business. Both of them operate like hunters; as Gibson assembles leads and clues, Spector follows his victims, piecing together their routines, their lifestyles. Plenty of detective stories place the hero and villain as two sides of the same coin, but The Fall is so precise in its execution, methodically moving the various pieces on the board. A taut thriller, anchored by two excellent lead performances. Gareth Edwards’ Monsters takes place years after a space probe crashes in Mexico, carrying with it alien organisms. As is often the case when a species is introduced into a new environment, the aliens spread, and the U.S. government quarantines Mexico, building a wall along the border. 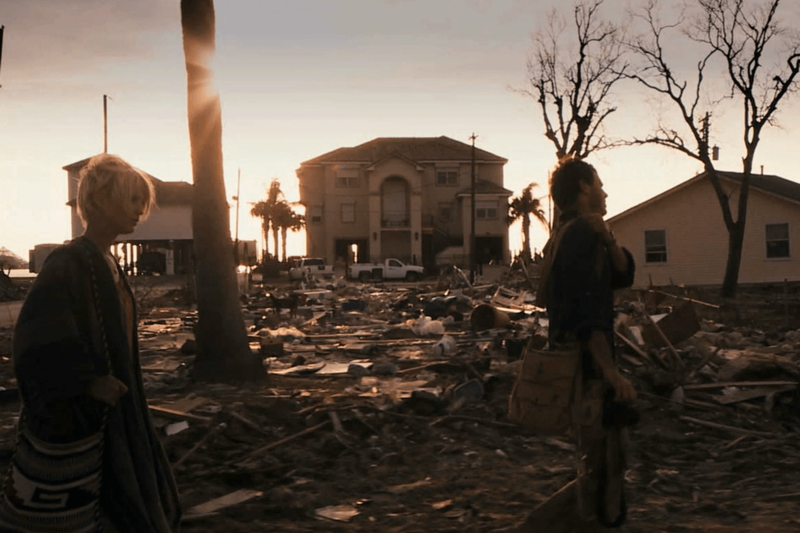 In the present, photojournalist Andrew Kaulder (Scoot McNairy) is heading south of the border to rendezvous with his boss’ prodigal daughter, Samantha (Whitney Able), and bring her back to America. Their train ride back is interrupted when an unknown event destroys the rails, forcing them to hitchhike back. In many ways, Monsters plays out like a road trip movie, with Andrew and Sam enjoying the sights and locales of Mexico. The nation is still functioning despite the extraterrestrials lurking in the wilderness, but that danger is never entirely out of sight. Edwards paces the film well, offering glimpses of the aliens here and there, keeping the tension rising before a larger reveal in the climax. The film is not without weaknesses, particularly the script; the film centers on the relationship between its leads, but there is just not that much to them as characters. Despite that, Monsters is worth watching for the alien encounters. The creature design is striking, and when the film moves into horror territory, it is one of the most exciting monster movies in recent years. The critical uproar over the most recent James Bond film, Spectre, was a bit surprising. Critics seemed upset that the film had a messy story and throwaway characters, yet that has been the franchise’s modus operandi since the beginning. Make no mistake, 007’s latest adventure is a mess, with a cartoonish villain and a ludicrous plot, but that is part of the appeal of the series. After dabbling in slightly more realistic plots, the franchise returns to its roots with Spectre. Daniel Craig reprises his role as Bond, and while he is still more of a bruiser than past incarnations of the character, the spy is a bit more relaxed, quipping and killing like the Bonds of old. 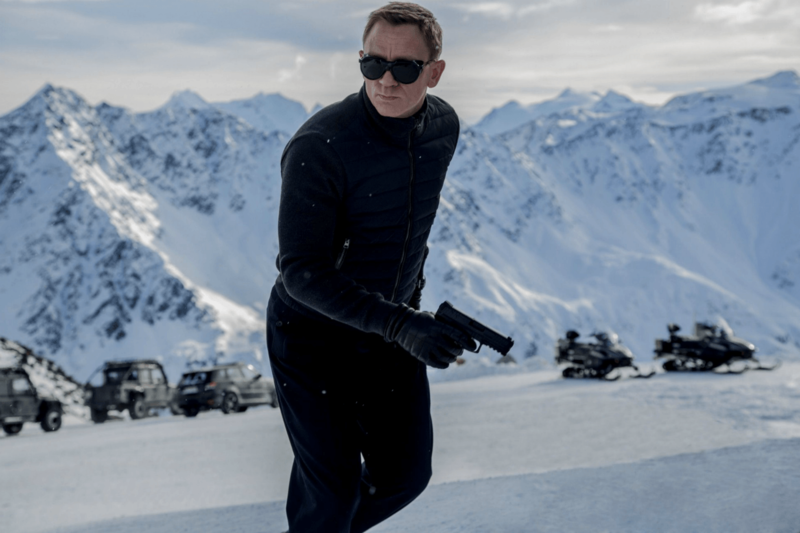 Spectre is the fourth film in Craig’s tenure, and continues the story established by the previous three. Bond is on the trail of the titular organization, whose enigmatic leader, Franz OBerhauser (Christoph Waltz), has a connection to Bond’s past. Sam Mendes, director of Skyfall, returns to the chair for Spectre, and the film benefits from his eye for aesthetics. The film has some of the most extravagant set pieces in the Craig era, particularly the opening chase sequence set during Día de Muertos. This is a messy film, but fans of the older Bond outings may see it as a return to form. Ghost stories nowadays are a little louder than they used to be. It seems like in every recent horror movie, the spirits cannot wait to pop out of whatever closet or crawl space they are hiding in. In the age of Vine and Snapchat, even ghouls want instant gratification. I Am the Pretty Thing That Lives in the House (that title certainly is a mouthful), like the odd millennial who still uses a straight razor, has old fashioned sensibilities. Set in a quiet house with a small cast, the film takes its time, crawling forward with a fiendish patience. The film opens with caretaker Lily (Ruth Wilson) arriving at the house of her new patient, a retired novelist named Iris (Paula Prentiss). The house is creepy in normal ways, white walls wrinkled by years without a new coat of paint, aged trinkets scattered about. The setting is not the decaying wreck of many horror movies, which makes the occasional ghost sightings all the more unsettling here. 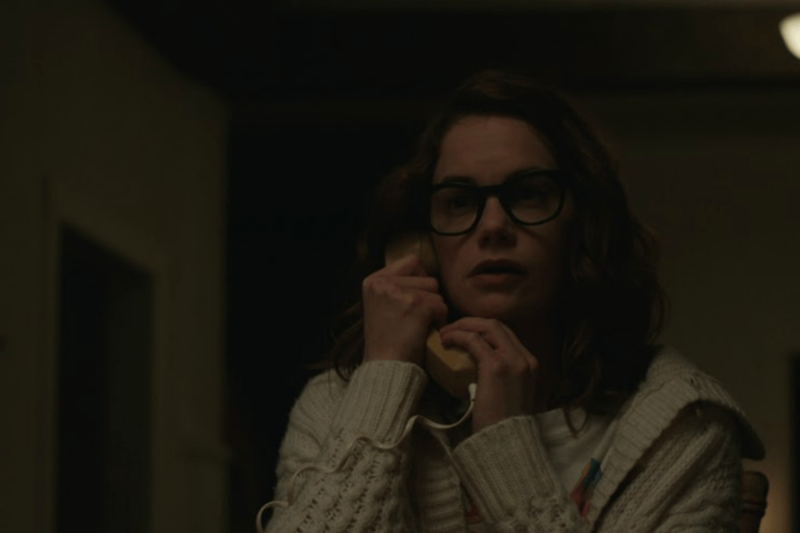 Director Oz Perkins keeps the film moving forward, but never rushes things. He prefers to prod the viewer, making them thoroughly nervous before shocking them with the occasional jump scare. The film plays with perceptions, both Lily’s and the viewer’s, and the resulting atmosphere is like a lucid dream. For those who have the patience, I Am the Pretty Thing That Lives in the House is a masterful ghost story.